I met and became friends with Ali Mustafa in the lead up to the 2010 G20 Summit in Toronto. We were both part of the Alternative Media Centre, a hub for independent reporters, photojournalists, designers, film makers, and radio producers. We worked together to cover everything that was taking place, often breaking stories before the major media outlets and capturing images that no one else was able to get. For a short time it felt like Toronto was transformed into a police state. Many members of our centre were arrested and subjected to harsh treatment by police. Covering the summit was scary, but also felt deeply meaningful. Thousands of people in Toronto and around the world were coming to us to find out what was going on during the G20. We were doing something important with our lives. But once the summit was over, that sense of meaning faded. Most of us had to seek out meaning in smaller things in life. But for Ali, that wasn’t enough. He wanted to bring his camera to events in the world that were more significant than the G20 Summit. At first this was to the revolution taking place in Egypt, and later it was to the war in Syria, where he was killed in an air strike last week. I would occasionally see Ali when he was back in Canada. 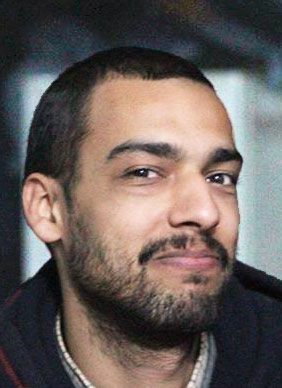 I attended an exhibit of his photos of Egypt, we collaborated together on an article on the plight of Security Certificate detainee Mohammad Mahjoub, we met for coffee, and I talked with him at a rally in Montreal during the Quebec student strike. But it was clear to me that his heart was still in the Middle East and I knew he was always planning his next trip back to the region. My own reporting usually consists of searching the Internet, filing Access to Information requests, reading through court records and making phone calls. I have friends who head into conflict zones to report from the ground, and I deeply respect them for the work they do, but on some level I don’t comprehend how they can do it. When I have reported from the midst of intense protests it has left me shaken, and I don’t know how I could cope in more intense conflicts. This is all the more true with Ali, who headed into a war zone. The media has failed the people of Syria, and thus, the few journalists who make their way into the country are doing something incredibly meaningful and important. But I am still left not fully understanding how he could take such risks. I realize that he is the only person I know who has lost their life in Syria, but he must have known and been friends with countless people who lost their lives, and no doubt that influenced him in making the informed choice to put himself in dangerous situations. Learning that Ali had died filled me with a deep sadness and upset at how fucked up our world is, that we let wars and other atrocities take place. My heart goes out to those who were killed alongside Ali – and to all those who have been killed in Syria. But in some ways their deaths remain abstract to me. I never doubted the horror of war, but this was the first time one of my own friends had died in one. Ali’s death makes war feel both very close and very far away. Close because the horror was made more real, and far because I feel so very sheltered in my life. I haven’t changed how I feel about the police action during the G20, but I now feel acutely aware that there are many people in the world who are taking much bigger risks to either stand up for what they believe in or to report on those who do. I simultaneously admire Ali for his bravery and compassion, and am upset with him that he put himself in such a risky situation. I am torn. A part of me wishes he had made different choices in life that had kept him safe, but I also respect that he chose to do something incredibly important with his life. So often when young people pass away it seems so meaningless. This was not true in Ali’s case, and yet, I don’t feel comfortable taking solace in this. I am left struggling, wanting to honour his choice and the important contribution he made and wishing he had made different choices. Ali, I will miss you.